We love essential oil blends and for many reasons. An essential oil blend gives you an opportunity to experience the magic of multiple essential oils in one bottle. Also, if you are eager to try an exquisite oil that may be out of your price range, buying a blend can offer you the healing benefits of highly priced oils without purchasing a whole bottle. Essential oil blends are uniquely designed by qualified aromatherapists that combine essential oils to work synergistically. Blends create more powerful remedies that work fast. We have many fabulous blends to share with you, so let’s get started. The following essential oil blends were reviewed based on their ingredients, their uses, how effective they are and their price. We picked essential oil blends for a variety of health conditions and concerns. Whether you need a quick energy boost or a solution to a nasty chest cold, essential oil blends have the capacity to supply relief. Let’s see what each has to offer. The name says it all. This combination of essential oils will bring on an immediate state of relaxation. It soothes the mind and the body. Not only is this essential oil blend superb for inducing sleep but the aromas will take you into the depths of nature. Sandalwood, Peru Balsam, Copaiba and Clary Sage all have earthy tones creating a grounding effect. taking walks in the woods brings a sense of peace and this essential oil blend will do exactly that. Put a few drops on your pillow or create a linen spray as you snuggle into bed. Or massage a few drops on your big toe which has a vito-flex point correlating to your brain. Remember when you were a kid and mom put Vick’s on your throat to break up chest congestion? The key ingredients in the remedy were menthol and eucalyptus. Now with companies creating essential oil blends, you can get the same magnificent results using 100% natural ingredients. 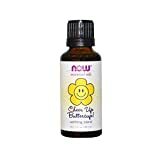 This essential oil blend does so much more than clear nasal passages; it heals what is ailing you. Tea Tree Oil, lemon and cardamom have antiseptic and antimicrobial properties. Bacteria doesn’t have a chance with these oils. Place a few drops into your bath water or vaporizer to create soothing steam. When everyone at school and work is getting sick, you won’t be joining them. The Health Shield essential oil blend combines immune-boosting plant oils to protect you from nasty colds, the flu, and viruses. Cassia and Clove have some of the highest levels of antioxidants. Lemon disinfects keeping germs at bay, and Rosemary is excellent for respiratory ailments as well as reducing anxiety. Stress is the number one reason our bodies become prone to illness. Adding immune boosters to stress relievers is an excellent idea. Use this essential oil blend in your home and office during cold and flu season to protect you and your family. Dilute one drop of Health Shield Blend with 5 – 10 drops of carrier oil and massage the thymus and lymph nodes under the arms to strengthen the immune system. Just the name of this essential oil blend puts a smile on our face. Cheer Up Buttercup! is an uplifting blend of citruses. The little-known Bergamot oil is derived from the flowers of the fruit tree. The aromas will take you away to a tropical paradise and put a smile on your face. The blend immediately shifts your mood from feeling powerless to feeling powerful. Use when your self-confidence needs a boost. Bergamot is commonly used by premenstrual women, as it eases symptoms of depression and exhaustion. Add a few drops directly under the belly button during emotional times. As we stated earlier, essential oil blends give you an opportunity to experience a multitude of oils. Many of the oils in this incredible mix are high priced. By purchasing the Anti Aging essential oil blend, you can experience the magnificent scents of rose, myrrh, and frankincense for a fraction of the price. These oils were once as valuable as gold, and only royalty possessed such great elixirs. Your skin will thank you after applying this essential oil blend with a carrier oil. Place a few drops on a cotton ball. Dab face with Anti Aging blend before retiring to bed. We can not even tell you how powerful this essential oil is. You have to feel it to believe it. This combination does more than just relieve pain, it relaxes the muscles enabling the body to let go of stress and tension. This creates a calm mental and emotional state too. Unlike conventional muscle relief remedies, this one does not have a strong offensive odor. The combination of mints and herbs makes the scent heavenly. The oils in Deep Muscle Relief have potent anti-inflammatory properties. Swelling after an injury or even arthritis pain is relieved when applying this essential oil blend. Add 5 drops to about one tablespoon of carrier oil if your skin is sensitive. Massage into the affected area. The ylang-ylang in Stress Relief essential oil blend is magical. Ylang Ylang oils possess a unique aroma. It is derived from flowers of the Caranga tree found in the rainforests of Asia. It has been widely used as an antidepressant. We can understand why because one whiff of this essential oil and your mood is transformed. Blended with lemongrass, orange, and geranium, this formula will melt your troubles away. The essential oil blend is not only calming but creates clarity and focus stimulating the frontal cortex. Inhale directly from the bottle just before taking a test or exam. Sinus pressure, sinus congestion, or painful headaches can ruin your day. The Head Relief essential oil blend is your best choice for fast relief. The combination of the oils calm busy minds soothes inflammation and pressure creates clarity and reduces brain fog. The aromas of oranges, basil, and marjoram clear passageways while fighting any bacteria or mold that may attribute to the conditions. Place a drop on temples and massage into the side of the head, taking deep breathes in and slowly exhaling. This will release tension held in the shoulders too. It only takes 2 oils to create this potent blend to support the immune system. If used in a diffuser, this essential oil blend will kill air born pathogens and prevent mold where used. It also can be applied to the body to open pathways releasing negative emotions. Some people use Protective Blend to eliminate negative energies. This makes it a great choice for applying before going to bed or attending that dreadful office meeting. This essential oil blend is nothing short of genius. Chamomile and lavender have calming effects plus the addition of sandalwood and ylang-ylang makes the Calm Body and Calm Mind a beautiful aromatic blend. It does exactly what the name says. This is a bottle of bliss. We love this one for meditation or deep contemplation. Use this essential oil blend in a diffuser or room spray and grab a book to read. Your mind will go to magical places. Add 5 drops to your favorite lotion, shea butter or cocoa butter. In a circular motion, gently rub arms, legs, and face with your new favorite cream. We hope you enjoy essential oil blends as much as we do. The ability to purchase a combination of oils is a chance to experience a variety of ointments all at once. Alchemists of plant medicine know by combining ingredients there is a synergetic effect that results in supreme mixtures. Purchasing essential oil blends is also a great opportunity to get the medicinal benefits of expensive oils without having to buy a whole bottle. Rose, frankincense, and myrrh are 3 examples of essential oils that can be very costly. By purchasing an essential oil blend with these ingredients, you will save money but still get to take part in their healing intelligence. All the essential oil blends we reviewed are nicely priced. The therapeutic blends are easily affordable. Adding one, two, or three blends to your stockpile is a sure way to have remedies for almost any complaint. Whether it be headaches, sore muscles, PMS or just a bad day, these essential oil blends will come to the rescue. Logged in as designerteam. Log out?